Plans to nationalise Scotland’s health services faced a last minute threat from an unlikely source – workers in the newly-nationalised coal industry. The Miners’ Welfare Fund wanted a new convalescent home. This ran against government health policy which was to bring everything into the new NHS. The mineworkers had chosen one of the finest houses in Scotland – Whatton Lodge in Gullane. This was also contrary to health policy of siting such homes near hospitals. Papers in the National Archives reveal a final snag. Grand houses like this on Hill Road had feu conditions for use solely as family homes – and this was to be a convalescent home for up to 20 miners. Whatton Lodge had been the home of Sir Harold Jalland Stiles. He had been surgeon to the Royal Hospital for Sick Children in Edinburgh, succeeding Joseph Bell, Conan Doyle’s model for Sherlock Holmes. His nearest neighbour was his former assistant Sir John Fraser who died the year after Stiles. Fraser was the finest surgeon of his generation. He became principal of Edinburgh University in 1944. Other neighbours were asked their views on dropping the feu condition and were uniformly shocked. According to one Hill Road resident: “The precedent, to allow institutions of this kind to spring up in a locality famed throughout the world as a holiday resort primarily for golf, would to my mind be disastrous”. Pressure grew on Arthur Woodburn to act – but he had no powers to intervene as Secretary of State. However, a letter on behalf of Lady Fraser and her son Sir James said they had no objection “as they feel certain that had Sir John been alive, he would have been the last person to stand in the way of such a project”. Miners at that time held a special status. The risk of death was four times greater working underground in the Lothians than being an Edinburgh civilian killed by enemy bombing. 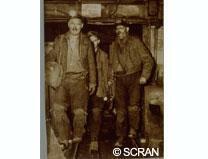 At least 100 Lothian miners were killed in accidents over the decade to 1948. Woodburn was to unveil a plaque in 1950 for Edinburgh Royal Infirmary’s League of Subscribers. They had raised £851,000. Coal and shale miners had raised a further £408,000. Miners of all people were deserving of the fresh air and breathtaking views from Gullane Hill – ironically over the seams under the Forth which many of them had worked. Woodburn met a miners’ deputation on March 24 1948 and wrote to Lt Colonel John Patrick Nisbet Hamilton Grant, DSO, managing director of Biel and Dirleton Estates in early April 1948. The two later met in London and the waiver was agreed. Gullane hosted the British Open that year. Even the King came to watch Henry Cotton win his third championship – as if with surgically precise timing – three days before the NHS came into being. The two Gullane surgical knights had much in common. Both had large private practices in Edinburgh as well as university appointments. Stiles had studied under Theodor Kocher in Berne – the pioneer of asepsis the system of ensuring all operating theatres were free from germs as opposed to Lister’s antiseptics – keeping wounds clear of germs. Stiles persuaded Edinburgh hospitals to buy high-pressure steam sterilisers. He brought aseptic surgery to Scotland. He was also a member of the MacAlister committee which in 1920 set out plans for Scotland’s medical services. Both had made contributions to the understanding of breast cancer and had seen the destruction of children’s joints caused by TB. In 1913 Fraser showed that 60 per cent of such cases were due to bovine TB from milk. They were also familiar with the idea of convalescent homes in Gullane. The Edinburgh Sick Kids established one in 1909 on land gifted at Muirfield, next to the Championship course. This proved handy for fund raising – the 1935 Open yielded £532.